Bharatiya Vidya Bhavan's annual cultural festival begins in November every year. The auditorium later becomes a venue for other sabhas' concerts in December. 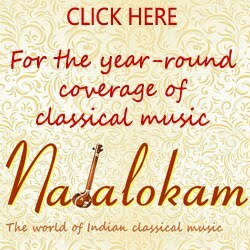 Bharatiya Vidya Bhavan's concerts are not ticketed. However, you should be seated early as the rasikas come in large for the concerts. 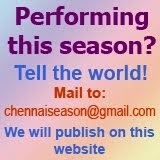 Venue: Bharatiya Vidya Bhavan, New No: 18,20 &22, East Mada Street, Mylapore, Chennai – 600 004.